Today’s card started with a desire to use the cute stitched frame die shown on the card. It is a Creative Expressions die that comes with a plethora of little dies to fill the frame windows. Mine has a garden theme, but they have a variety of themes and frame designs. 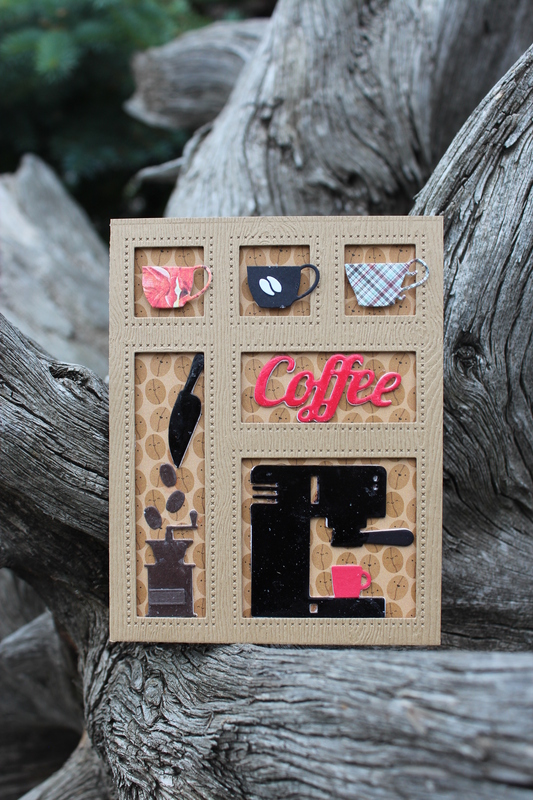 I wanted to make a coffee card instead of a garden card, so I went on a stash search. Somewhat amazingly, I was able to find enough coffee die images to fill the frames.